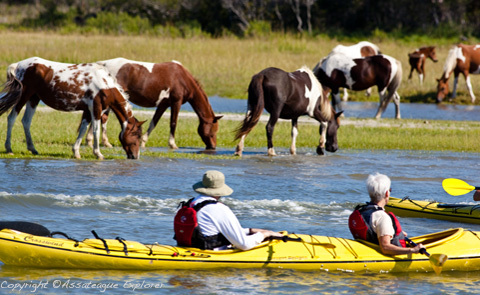 Assateague Explorer Kayak Tours offers an escape to a world of solitude and natural beauty on a kayak adventure with Assateague Explorer. 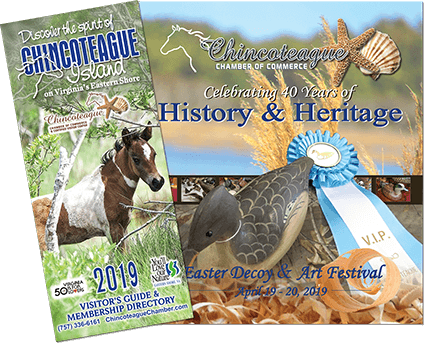 Guided tours, from our scenic dock, at the best location on Chincoteague. Close to Assateague and the wildlife refuge. Join our guided tour to enjoy stunning waterways. Depart from Veteran’s Memorial Park on Chincoteague Island and explore the boarders of Assateague’s extensive calm western shoreline. Unique island opportunities to experience solitude, nature exploration and wildlife viewing. Paddle through the warm back waters of the barrier island in our premium sea touring style kayaks. Search for the famous wild ponies, eagles, shorebirds and other wildlife. No experience necessary. Glide through creeks, channels, coves or sometimes land on a remote beach to rest and enjoy the scenery. A fun way to see great parts of the island with your family & friends. The captain of our tour boat can sometimes relay information to our kayakers to help with spotting ponies and planning a route to experience the best areas during each day. You can also join a cruise on our mothership tour vessel “Misty”. Kayak/Cruise packages are available.